NEW YORK, NY, Oct. 23, 2014– The Islamic Circle of North America is saddened by the loss of Professor Ghulam Azam of Bangladesh, one of the foremost Muslim activists in the world, who died on Thursday while serving a politically motivated conviction for war crimes. Azam was a prominent political and religious leader in Bangladesh and played a crucial role in various sociopolitical and religious movements throughout the years. He received a master’s in political science from Dhaka University and actively participated in and led representative student organizations. His academic and practical political foundation served him well in confronting the issues plaguing his society at the time. In 1948, shortly after the independence of Pakistan, Azam submitted a memorandum to Liaquat Ali Khan, then prime minister of Pakistan, and demanded state language status for Bengali. His active role in the Language Movement placed him in prison several times and resulted in the loss of his position as assistant professor at Rangpur Carmichael College. Shortly thereafter, Azam dedicated himself to the cause of Islamic activism. His previous experience in the socio-political Islamic organization, Tamaddun Mozlish, and the spiritually focused Tabligh Jamaat, compelled him to find something that combined aspects of both. He joined Bangladesh Jamaat-e-Islami, and eventually became secretary general and president of the party. In July 2013, the BBC reported that a war crimes court had Ghulam Azam guilty of five charges relating to Bangladesh’s 1971 war of independence with Pakistan. In July 2103, the GMBDW also reported that ICNA had condemned the execution of Abdul Quader Mollah, the Assistant Secretary General of Bangladesh’s Jamat-e-Islami (JEI) party, in connection with war crimes committed during the country’s war of independence in 1971. 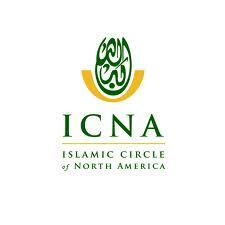 The Islamic Circle of North America (ICNA) is a part of the US Muslim Brotherhood and considered to be closely tied to the Jamaat-e-Islami organization of Southeast Asia, itself allied with the Global Muslim Brotherhood. ICNA is particularly close to the Muslim American Society and the two organizations have been holding joint conferences in recent years.